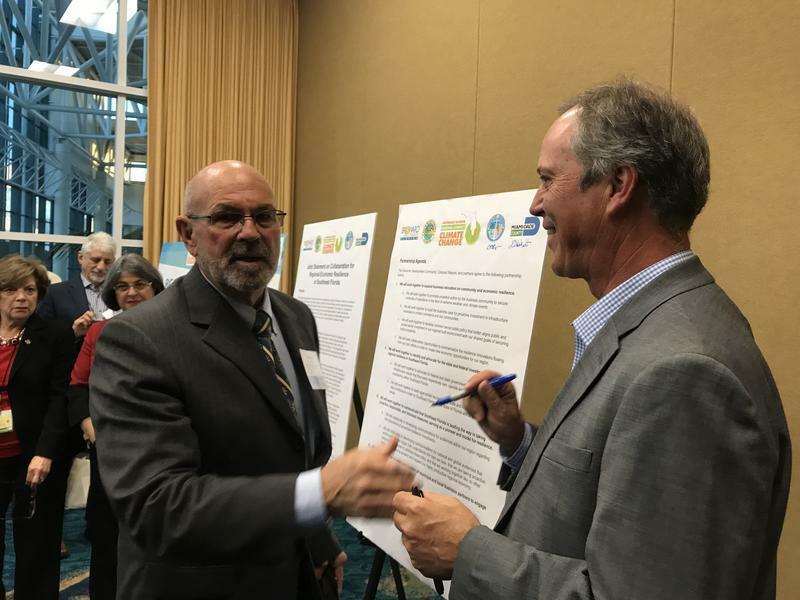 Monroe County Mayor David Rice, left, and Broward County Mayor Beam Furr were among officials and business leaders who signed an agreement to collaborate on climate issues at a regional summit in December 2017. 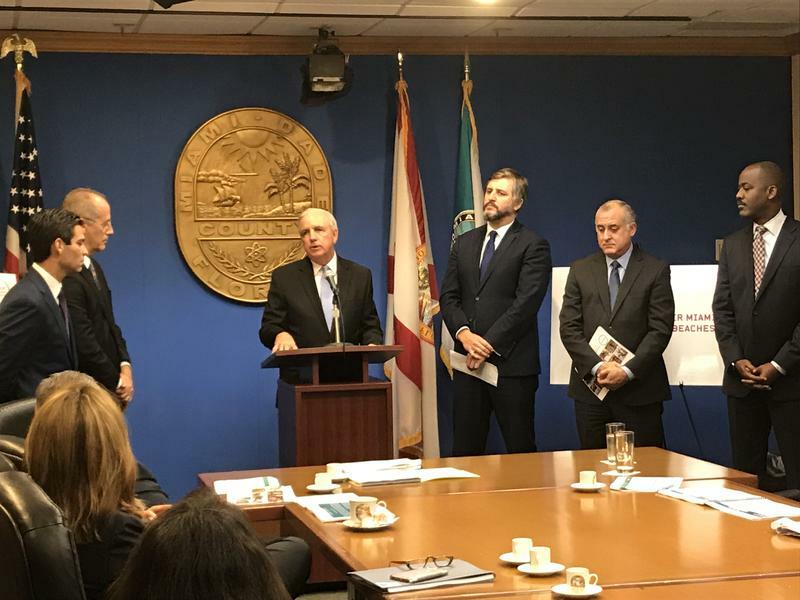 Miami's promising bid for the second Amazon headquarters results in part from regional collaboration on resilience issues including sea level rise, said an official familiar with the plan's development. The proposal was listed among the 20 finalists announced Thursday by the Seattle-based tech giant. Technically, Miami's plan is a joint effort among Broward, Palm Beach and Miami-Dade counties. 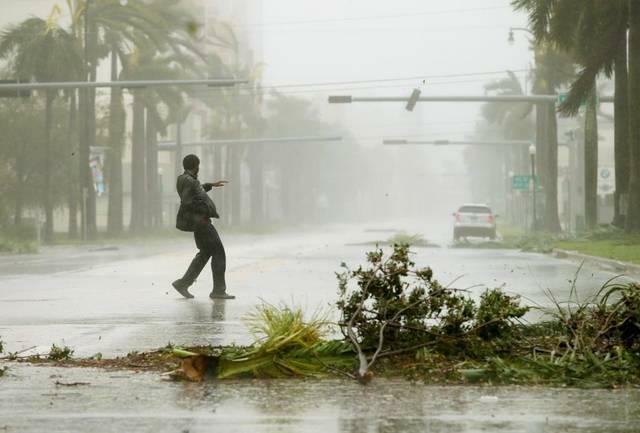 That collaboration stems at least in part from previous cross-county work on the Southeast Florida Regional Climate Change Compact, said Jim Murley, chief resilience officer for Miami-Dade County. "We have transportation planning organizations that cross county lines. We've got economic development partnerships. We have cultural work that goes across. ... It's really a breakthrough," he said. The compact was signed in 2010 and includes Monroe County as well as Miami-Dade, Broward and Palm Beach. It takes a regional look at solutions to problems including sea level rise, high housing costs and traffic. That could be significant for the success of the Amazon proposal, since traffic, housing and public transit issues are likely to be considered weaknesses by a company that could bring as many as 50,000 people and $5 billion to the city it selects. Strengths of Miami's Amazon application are likely to include the region’s status as a hub for international tourism and for Latin American business. The full proposals have not been made public. The new mayors of Miami and Miami Beach received updates Monday on their cities' participation in the 100 Resilient Cities program to address present and future livability challenges in Greater Miami and the Beaches. 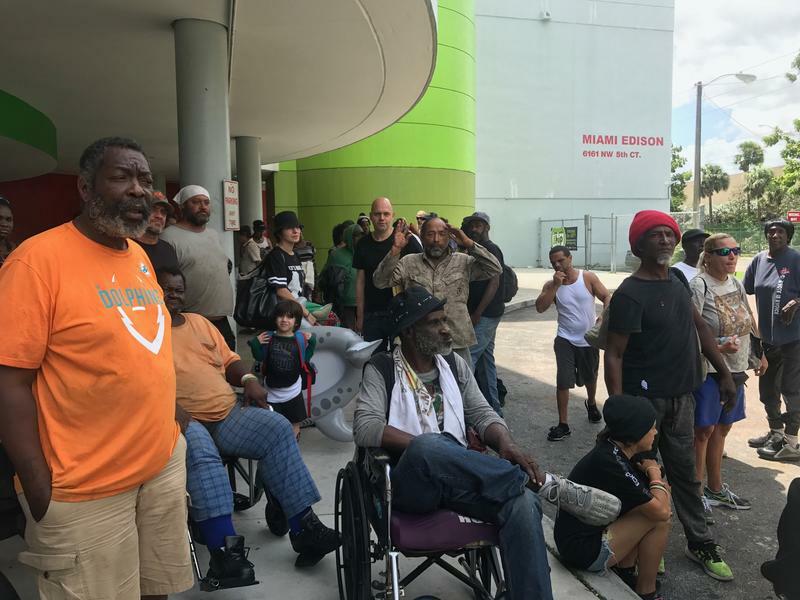 Miami-Dade needs a community-wide "culture of resilience" before the next hurricane, a county commissioner argued in a new report. 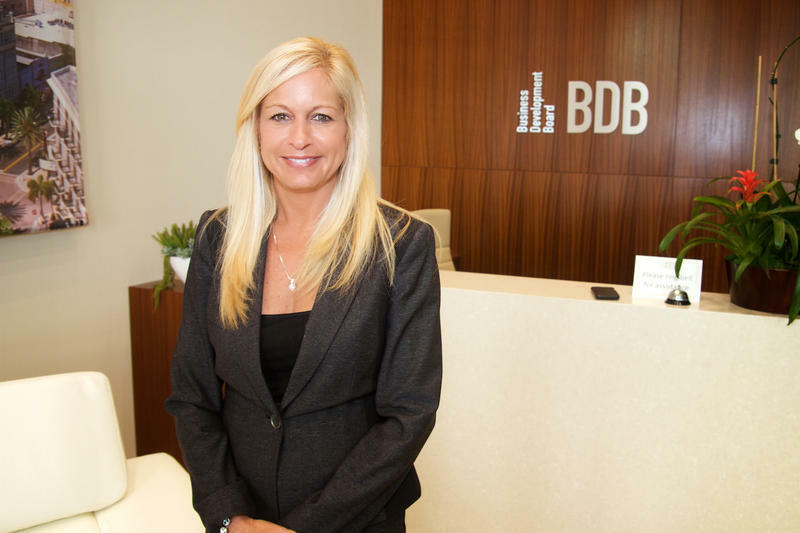 "Every individual, every household needs to have an emergency plan. And that plan needs to be communicated with somebody who’s a lifeline," Commissioner Daniella Levine Cava wrote in the report on Hurricane Irma.